A warrior like necklace hung from his neck. He was tan with white flowers dangling at the tips of his long hair. I don’t know why he decided to sit next to me. You can tell he was proud of his tradition. It was 11:30 pm inside a restaurant and he was half-naked. It was my last night here and I spent it with the man from Easter Island. Easter Island is one of the most isolated inhabited islands in the world, if not, the most intriguing too. 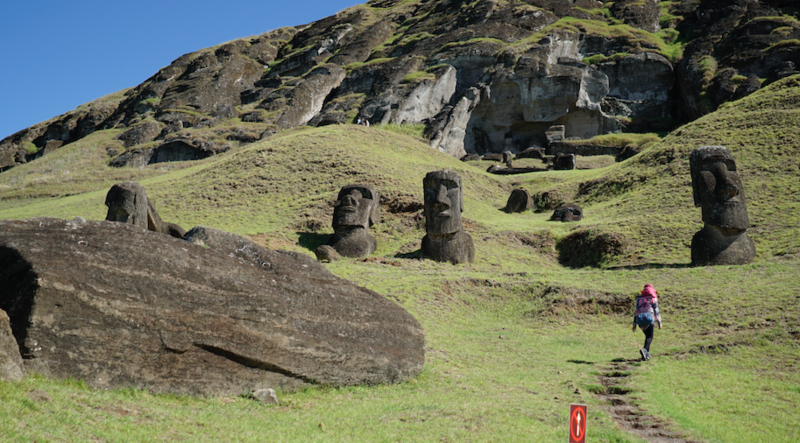 There are hundreds of huge stone head statues called moai across Easter Island. These statues are so famous, there is even an emoji of it (🗿)! 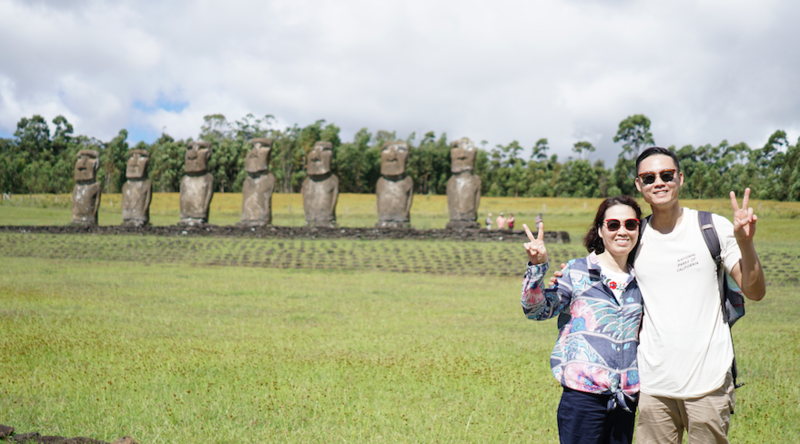 The lingering mystery behind these statues and the people of Easter Island attract tourists from all over the world. 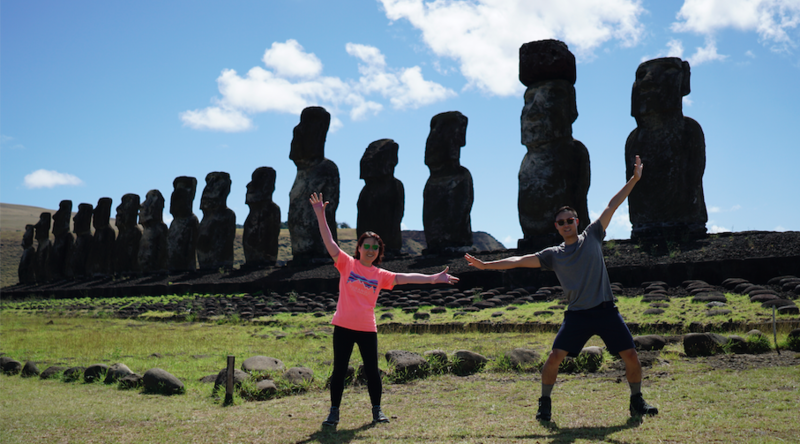 How did native people, the Rapa Nui, come to live here? Why and how did they construct these massive monuments? The man from Easter Island and I spoke for hours. He described to me the powers that come from the sun, the moon, the water, and mother nature. For example, if he was hungry, he would go fishing in the waters and that was dinner. Life was that simple. He emphasized the importance of awareness to one’s spirit and of being in the moment. Perhaps it was something he had observed as lacking in our modern culture. While summoning my own spirit, I had one question for him. “Yes! Let’s go.” he said. As we walked to our hotel room, the man from Easter Island picked a pink flower. Inside, my spirit giggled with excitement. My mom was asleep when I entered, still wearing her sleeping mask. “Mom, there is someone I want you to meet.” I said. The man from Easter Island entered. He does his native dance and hum. My mom smiled and laughed. A pink flower was was handed to her. Their spirits embraced. 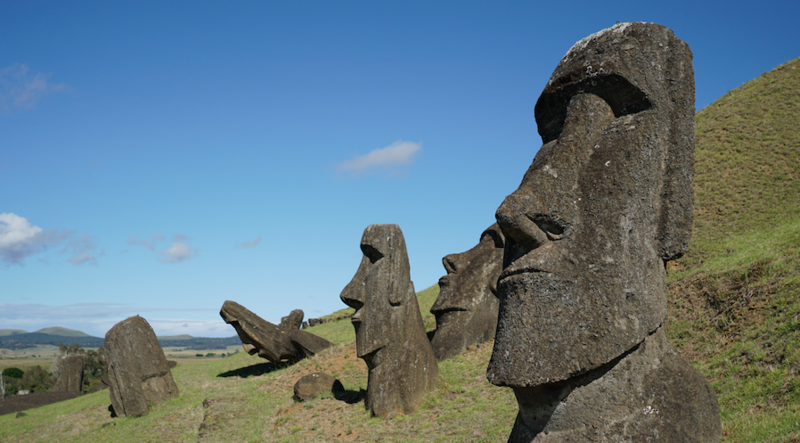 This is the story of the man from Easter Island.